* calls to 116 123 are free from landlines and mobiles and won’t appear on your phone bill. If something is troubling you please speak to us day or night, on our freephone number 116 123, via email jo@samaritans.org or SMS 07725 90 90 90. We provide confidential emotional support for people who are experiencing feelings of distress or despair, including those which may lead to suicide. Hillingdon Samaritans is one of over 201 branches in Britain and Ireland and has been supporting the local community for over 40 years. We are always looking for volunteers from any walk of life willing to support someone in distress. 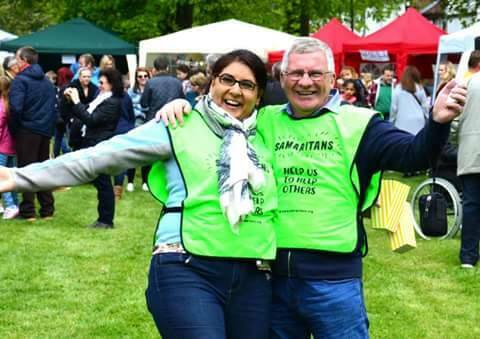 You can make an amazing difference volunteering with Samaritans, helping to support people around the UK and Ireland when they need someone to talk to or when they are going through a difficult time in their life. To find our branch or for our opening times click here or more about volunteering or how to help us raise funds. We hope you will find what you are looking for and thank you for visiting. No one is funding our work today.